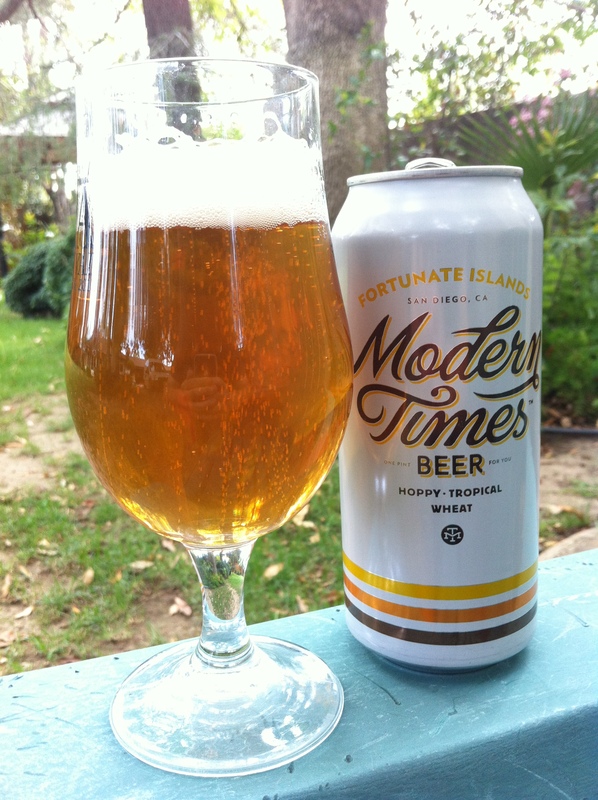 FORTUNATE ISLANDS is an American Pale Wheat Ale with a sippable 4.8% ABV and a seemingly contradictory 46 IBUs. With a hiss and a glug the golden-orange liquid poured forth into my tulip glass. The head was billowy and white, sticking around long enough for me to get a few photos before it faded into a layer of film that broke up further and further with each sip. This is a very carbonated beer, as you can see by the above photo. I cracked the can, took a whiff, and literally said out loud, “Oh, god, that smells so good”. Mellow pine, dankness, grass, honey, melon, grapefruit, and hay/wheat were all detectable and delectable. The sweet notes appear first, but as it settles/warms the pine and grassy hops take over. Everything about this nose made me want to dive right in! The taste began with a honey wheat sweetness that faded into notes of melon and grass. A dankness and pine (which is a pretty awesome name for a buddy cop show, by the by) flavor hits near the end, before finishing with a touch of tangerine. This was an odd drinking experience. The tropical fruit sweetness comes first when it’s cold. Then the honey and wheat takes over as it warms. Once it nears room temperature the dank/pine flavors fully take control. It was a strange journey, but one that I’d gladly take again and again. The mouthfeel was light, but noticeably more hoppy than your standard wheat ale. This hoppiness left (what I imagined as honeycombs of) residue clinging to my gums. Mild, but not off-putting. Hop-related drying was present as well. 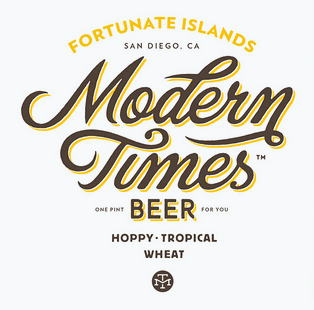 I can’t say enough about how great the beer is that Modern Times is making, but this is their second offering that I felt was being “harmed” by being miscategorized. Even though the recipe features a large amount of wheat (you can find homebrew recipes for all the Modern Times beers on their website www.moderntimesbeer.com), the hops were too dominant to not consider this a Session IPA/XPA. The founder of Modern Times, Jacob McKean, stated in his Reddit AMA that he likes to blur lines when making recipes and that is definitely the case here. Thankfully that does not appear to have been a detriment to the product. Hell, it almost seems like an added reason for most beer lovers to intentionally seek out their products. Regardless of which category you put it in one thing is certain, Fortunate Islands is a winner.